Leather choker with snap closure. Leather choker with black lace trim and snap closure. 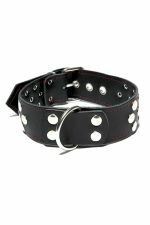 Leather riveted collar with d-ring and adjustable buckle closure. 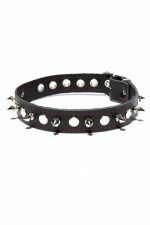 Leather Spiked Collar with adjustable buckle closure. 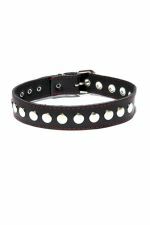 Leather riveted collar with adjustable buckle closure.